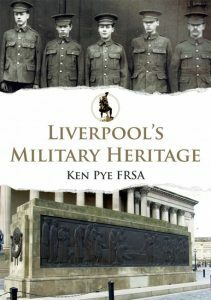 The first point author Ken Pye makes in ‘Liverpool’s Military Heritage’ is that Liverpool, which used to be a fishing hamlet known as Leverpul, was founded by King John in 1207 as a military base on the mouth of the River Mersey, from which he would invade Ireland, Scotland, Wales and the Isle Of Man. Invade the Isle Of Man!! Ludicrous indeed. During the C18 and C19 Liverpool was established as among the most important ports in Britain and defences were erected there to ward off attackers during the Napoleonic War and the American War of Independence. You may ask why were they built in regard in regard to a war taking place 6000 miles away. The answer being that Liverpool secretly built ships for the American Confederate Navy during the American Civil War. 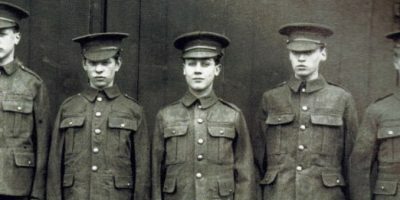 Years later Liverpool also played a significant part in the Battle Of The Atlantic which was led from heavily fortified underground bunkers, which are still in existence today below the streets of Liverpool. Liverpool received the heaviest bombing, bar London, by the Germans during WWII. But very little evidence of this exists in the present day, except for St. Luke’s Church (‘The Bombed Out Church’) in the city centre. The book includes over 100 illustrations covering the military heritage of Liverpool from medieval times to the present day, a lot of them courtesy of Discover Liverpool Library.